Bryan, TX 77805 Visit our Contact Us page for more contact information, emergency phone numbers, or to email a customer service representative. Bryan Texas Utilities offices will be closed Friday, April 19 in observance of Good Friday. 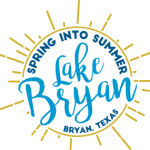 Spring into Summer Event at Lake Bryan on May 18! Join us for an evening of food, film and fun, at Lake Bryan on Saturday, May 18, 2019. 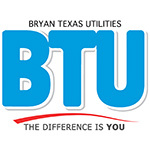 Bryan Texas Utilities will be conducting an aerial inspection of various elements of the BTU power system beginning Thursday, September 8.